Brewing your perfect cup of tea is an exact science. It requires the right amount of tea leaves, the ideal temperature, the precise amount of brewing time and a vessel of pure simplicity. 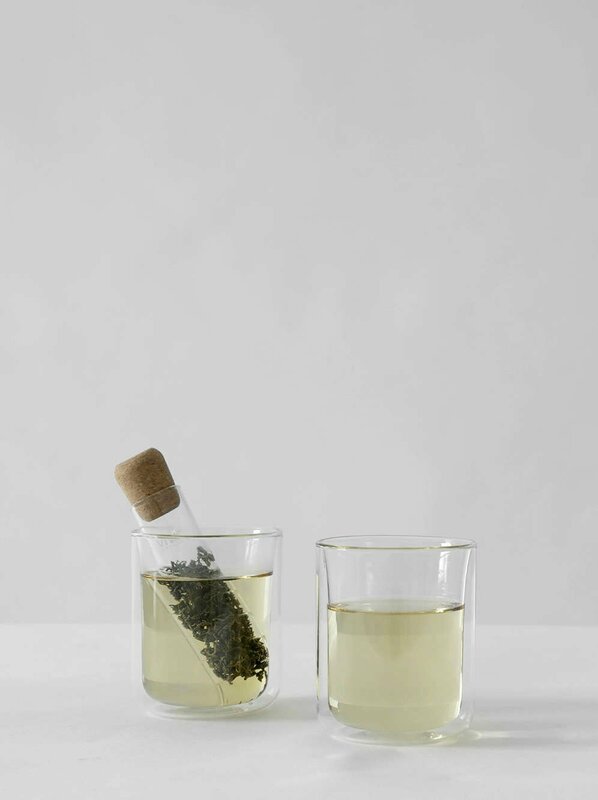 Reach new heights of tea perfection with the glass Infusion Tea Tube. For years you’ve collected only the best tea brewing equipment. 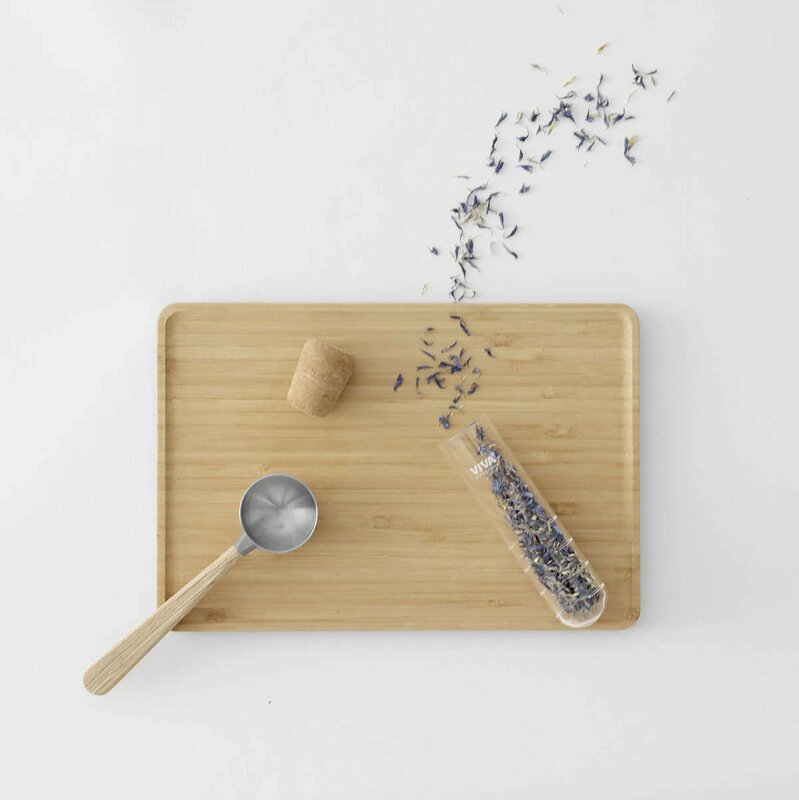 Teapots, carafes and infusers of the highest quality are peppered around your cosy apartment kitchen. Your evenings are spent unwinding over a beautiful mug of tea. But you’re always in search of the next best tea brewing accessory. The one that will give you perfect tea every time. Perfection is something many of us aspire to. It is one of those aspirations that is not so easily achieved in many aspects of life. With the Infusion Tea Tube, you can turn tea brewing into an exact science. The minimalist glass body results in tea of the purest taste. 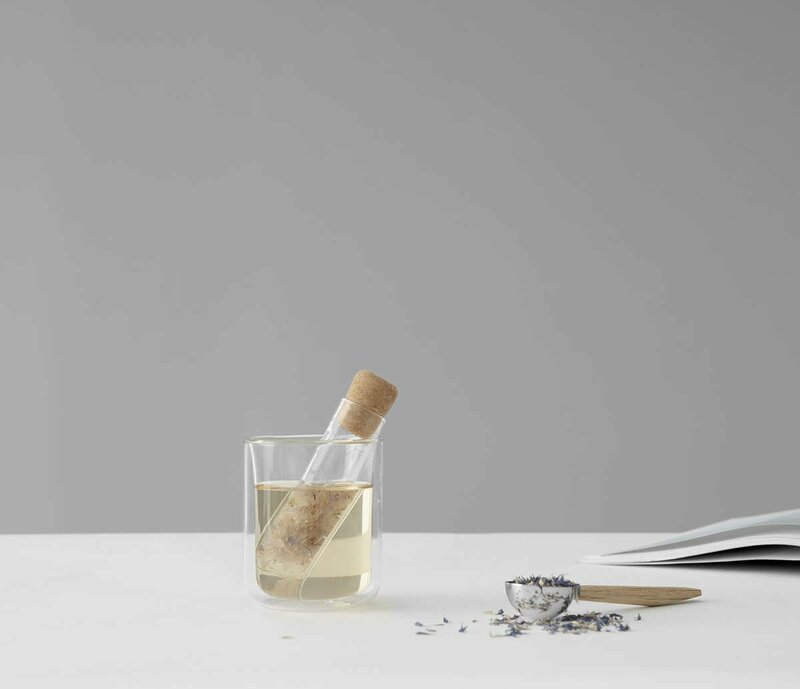 Use it with the cork stopper to prevent the precious tea leaves from escaping. Or use it without to maximise the aromas from the freshly steeping tea. Leap into this new and intoxicating way of tea brewing. Find perfection. What are the best teas to make in this infuser? The Infusion Tea Tube is suited to all sorts of tea. 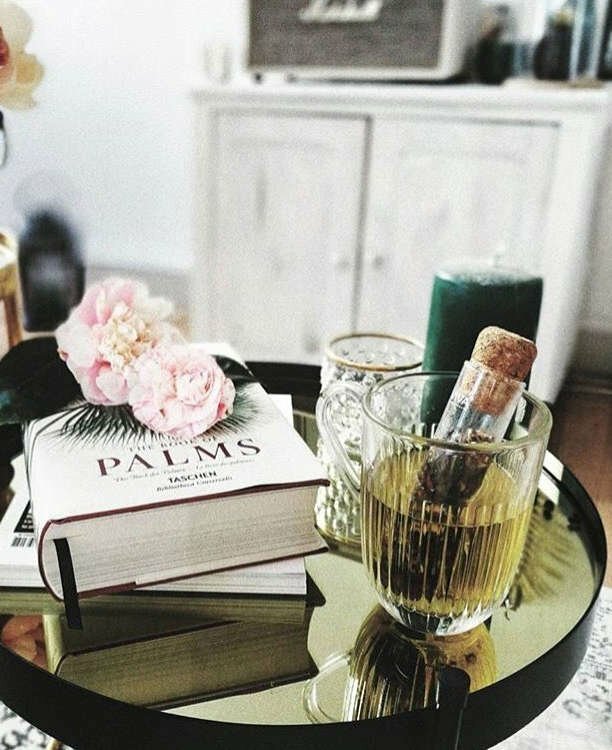 Because of its large capacity and glass body, floral teas work particularly well and look spectacular. Watch the buds swell and bloom while they release their goodness into your cup. Is this infuser easy to wash? The cork stopper can be removed from the glass globe by gently squeezing and pulling. Once removed, both components can be rinsed or washed. Our special Biotera cork is a natural material that will degrade in the dishwasher, so it is hand wash only. How long does it take to brew a cup of tea? This all depends on how strong you like to drink your tea. The tea tube’s long body means you can swirl it around to encourage more water to pass through your leaves to strengthen the brew, and remove it easy when it has reached your ideal strength. Can I use this infuser in a teapot? The tea tube is designed to be used in a cup to make a single serving of tea, so it’s not suitable for teapot use. How much tea can I fit in tea tube? The tea tube can contain 6 teaspoons of tea, perfect for strong and weak teas alike! If you’re looking for an even larger infuser, you might prefer the Infusion Tea Strainerinstead.